PayPal's stock dropped on Thursday, as investors reacted to a rumor that Apple Pay will launch in Safari later this year, enabling in browser ecommerce payments, further encroaching on PayPal's business. 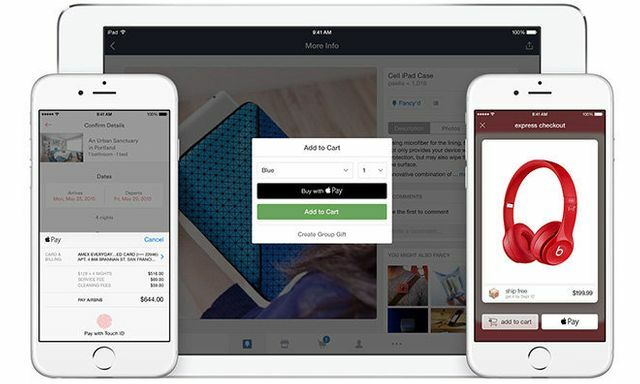 Wednesday evening, a new report claimed that Apple has reached out to potential e-commerce partners to indicate that Apple Pay will soon support purchases on websites. It's believed that the new functionality will come to storefronts before the end of 2016. Apple Pay for Web purchases is expected to be limited to transactions conducted through Safari on iOS devices that feature Touch ID and Apple Pay support. Currently, Apple Pay is available for contactless payments on newer iPhones, as well as in-app purchase authorizations on both recent iPhones and iPads.